Strange that the alt-Right and the Tea Party each gained such prominence within just several years of each other–beyond a common antipathy to illegal immigration, they have very little in common. The policy goals of the alt-Right seem to have more in common with the neo-cons of the early 2000s than they do with constitutional conservatives. Consider the current popularity of trade protectionism and the zeal for interventionism, for example. Is there a relationship between the decline of the Tea Party and the rise of the alt-Right? Tea Partiers supporting Newt Gingrich would be like Occupy Wall Street supporting…Barack Obama. I started my observations about these two movements a month ago with a point of conciliatory commonality–their shared opposition to undue influence by rich special interests in politics, whether left or right. However, after two months of Occupy Wall Street, the most stunning thing about these two movements is how their core is starkly contrasted. Tea Party protests usually had a “vote the bums out” message–their signs and speakers focused on what those in the crowd should do. Occupiers, however, seem focused on what others should do for them–their signs and speakers are about the demands they have for what “the rich” should be providing them with (student loan debt relief appears to be a big one). This is a broad generalization, of course, but a useful one. While there are certainly Tea Party protesters who want government to do things for them, even those things are more limited and more for the benefit of others than what Occupiers demand for themselves. Decreasing spending so that future generations of taxpayers won’t be saddled with unpayable debts (as many a Tea Party sign begged, such as at 1:52 in this video from a Las Vegas protest) is a far cry from insisting that “government has a responsibility to guarantee access to affordable health care, a college education, and a secure retirement,” as a poll of OWS protesters showed, according to a survey cited on the OWS Wikipedia page. Rescinding fairly recent policies that exacerbate economic problems strikes me as more restrained and pragmatic than demanding the spontaneous erection of a new infrastructure for a panoply of progressive fantasies. Today, my two daughters had a tea party over here for their friends. I was pretty excited when they had the idea–imagine, my precious little girls wanting to voice their concern over bloated government waste and dwindling civil liberties, mildly protesting the financial burden that our leaders’ policies are putting on them. But, apparently, their idea of a tea party had more to do with sandwiches, fancy dresses, Kool Aid, and Taylor Swift songs. Alas. 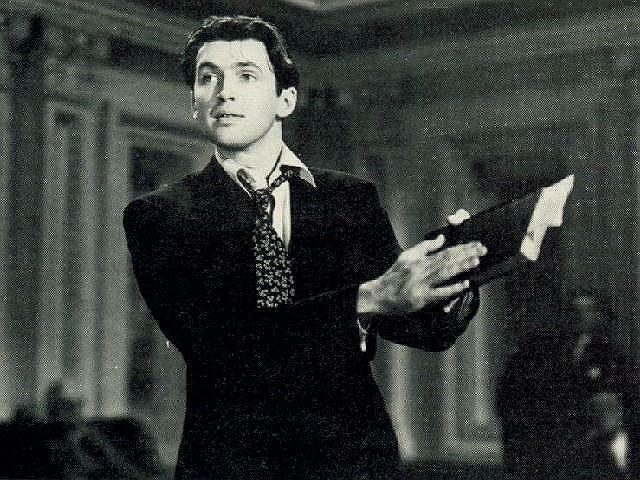 Jimmy Stewart, as Senator Jeff Smith, reads patriotic documents on the floor of the U.S. Senate in the 1939 classic, Mr. Smith Goes to Washington. Much has been made of the new Republican majority in the House starting this session by reading aloud the Constitution. Many articles have noted that, though it’s over 200 years old, this is the first time the Constitution has been read into the record of the House. However, something similar has happened before in history. Hollywood history, that is. In the patriotic 1939 classic, Mr. Smith Goes to Washington, as Jimmy Stewart continues his heroic filibuster to protest his framing by the corrupt politicians who betrayed him, after he reads the Declaration of Independence aloud, he then reads the Constitution. Granted, this scene is set on the floor of the Senate, not the House, but it’s pretty close. This begs the question–if there are those who would criticize reading the Constitution in our Congress meetings, would they also belittle the same thing in Mr. Smith Goes to Washington, one of the most universally beloved films in American history? Despite the scorn leveled at it by the elite mainstream, the Tea Party movement has illustrated something significant about America: we’re fed up with the status quo and its increasing power grabs. In the last few years, not only have there been Tea Party protests, we’ve also had a popular political tract called Common Sense, and groups calling themselves Sons of Liberty are growing. The fact that there are so many new things inspired by that volatile time in our history should be sobering for all of us. I’d like to offer a humble contribution to this trend. On September 11, 1773–the year of the Boston Tea Party–Benjamin Franklin published a satire of England’s poor management of the colonies, presented as twenty pieces of humorous advice for getting rid of them: “Rules By Which a Great Empire May Be Reduced To a Small One.” Below, I’ve adapted Franklin’s text to include references to current problems. The scary thing is, I didn’t need to change or add very much at all. Most of Franklin’s scathing indictment applies just as well to today’s American government as it did to King George’s administration in 1773. Make of it what you will, but the fact that Franklin can be so easily adapted to the Tea Party’s concerns should also be very sobering to all of us. The Founding Fathers accomplished this, that tho’ they were not perfect, they could make a federalist republic out of a chaotic confederacy of former colonies that had been ruled by fascist autocrats. The Science that I, a modern Simpleton, am about to communicate is the very reverse. I address myself to all Ministers who have the Management of the American Republic, which from its very Freedom is become difficult to govern, because the Degree of its Freedom leaves no Room for Control. I. In the first Place, Gentlemen, you are to consider, that a free Republic, like a great Cake, is most easily diminished at the Edges. Turn your Attention therefore first to your remotest States (those on your coasts, like New York, California, &c); that as you deprive them of Freedom, the interior Heartland may follow in Order. II. That the Possibility of this Control may come to pass, take special Care the interior States are never respected in your public discourse, that they do not enjoy the same common Dignity, the same Privileges in Debate, and that they are governed by severer Political Correctness, all of your enacting, without allowing them any Share in the Choice of the Rules. By carefully making and preserving such Distinctions, you will (to keep to my Simile of the Cake) act like a wise Gingerbread Baker, who, to facilitate a Destruction, cuts his Dough half through in those Places, where, when bak’d, he would have it broken to Pieces. III.These Freedoms have perhaps been acquired at the sole Expence of the our Ancestors and Military, without the Aid of the Mother Government. If this should happen to increase the People’s Strength by their growing Numbers ready to join in her Wars, and her Commerce by their growing Demand for her Manufactures, they may probably suppose some Merit in this, and that it entitles them to some Favour; you are therefore to forget it all, or resent it as if they had done you Injury. If they happen to be zealous Whigs, Friends of Liberty, Conservatives, or (worst of all) Tea Partiers, nurtur’d in Revolution Principles, remember all that to their Prejudice, and contrive to punish it: For such Principles, after a Revolution is thoroughly established, are of no more Use, they are even odious and abominable. IV. However peaceably your Citizens have submitted to your Government, you are to suppose them always inclined to revolt, and treat them accordingly. Smear and restrict their Second Amendment rights, and be ever Hostile to those who assert these Rights. By this Means, like the Husband who uses his Wife ill from Suspicion, you may in Time convert your Suspicions into Realities. During the week after the September 11 attacks, I kept telling myself to take pictures. I should have taken pictures of the flags on cars and houses, of the patriotic messages on the signs of every fast food restaurant, of the quiet, dignified acts of unity that, even though they filled every open space of our society that week like water rising in a canyon, I knew would disappear quickly, soon, and forever. We occasionally see footage aired of planes hitting the twin towers, but when was the last time you saw that tape of Congress singing “God Bless America” that afternoon on the steps of the Capitol? It was a unique time of intense mourning and brotherhood, and was gone almost as soon as it started. I’ve only ever seen one other thing like it, and I likewise regret not doing something myself to document it. Throughout January of 2009, as I listened to average citizen after average citizen call in to every talk radio show I listened to, asking how to organize one of these new “tea party” meetings that everyone was talking about, to protest the Bush bailouts and the promised policies of the radical-leftist president-elect, I knew I was listening to something new, and something special. Now, you might not like tea parties, those who attend them, or their beliefs, but no one can deny that what we’re seeing is the rise of one of the most spontaneous grassroots movements in history. In less than two years, tea parties have gone from rag-tag, ad hoc meetings in living rooms and bars to a cohesive (though still officially loose) brotherhood of millions of kindred spirits who are about to take a midterm Congressional election by storm. On one hand, conservatives have no official, strong, unifying leadership. On the other, the massive protests by conservatives are the work of carefully orchestrated planning by scary conservative leaders. You can’t have it both ways, media! Either American conservatives have nobody in power representing them effectively, or they not only do have leaders, but leaders who are masterminding an impressive series of unified protests. Make up your mind and get back to us. But is that really the day that history will remember as the tipping point towards financial ruin for our republic? Did Obama suddenly come in and drastically change course for the government, or is he just continuing business as usual? Or better yet…where were all those tea party protests before now? Where were the protests on October 3, 2008, when the Emergency Economic Stabilization Act of 2008 ($700 billion) was signed into law? Shouldn’t that be the date on the tombstone? Where were the protests on September 30, 2008, when the “Big Three” automakers got a $25 billion loan? Where was the coordinated network of national protests on September 16, 2008, when the Federal Reserve gave insurance giant AIG a $75 billion bailout? Where were the fiscal conservatives rising up and demanding results on July 30, 2008, when the Housing and Economic Recovery Act of 2008 ($300 billion) became law? So if we’re going to become especially indignant about Obama’s “porkulus” package, we’re very much a conservative pot calling a liberal kettle black.